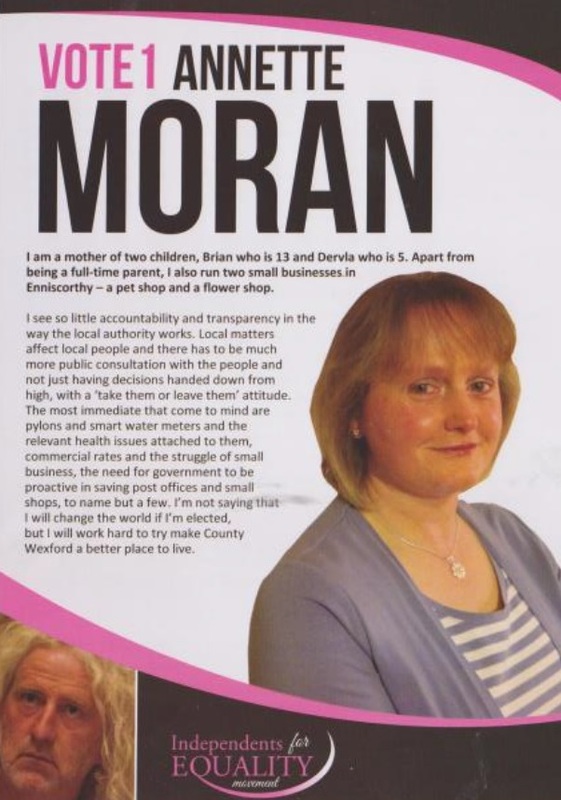 A leaflet from Annette Moran who is running for the Mick Wallace backed Independents for Equality in Enniscorthy for a seat on Wexford County Council. 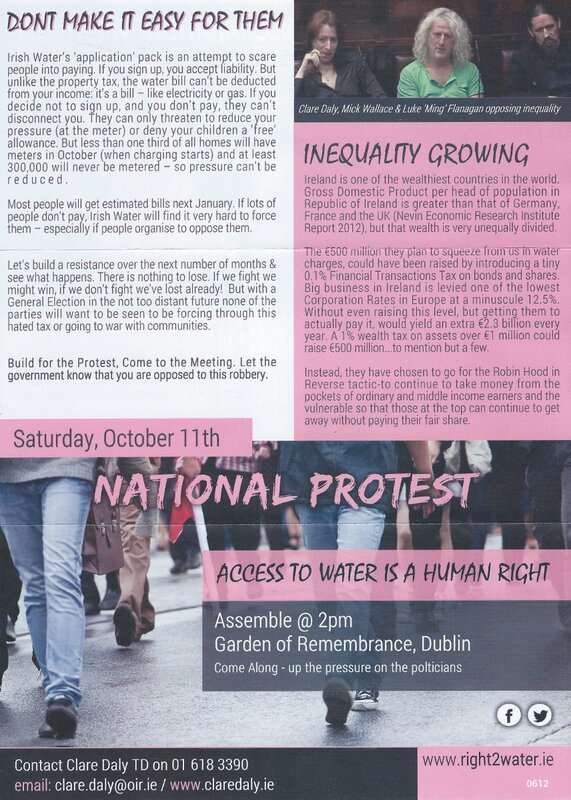 The Autumn 2012 newsletter from Independent TD for Wexford Mick Wallace. 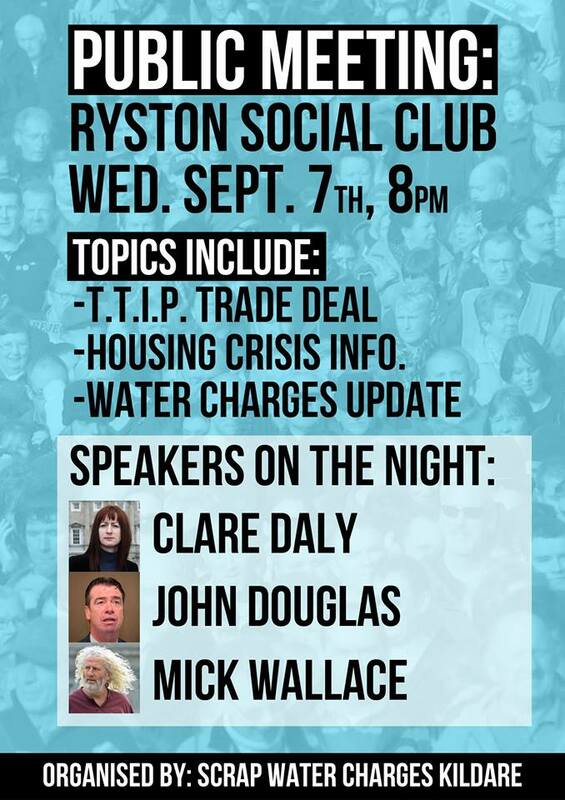 Amongst the items included is his statement on Under-Declaration of VAT and pieces on Upholding Human Rights, Helping Small Business and Mortgage Arrears. 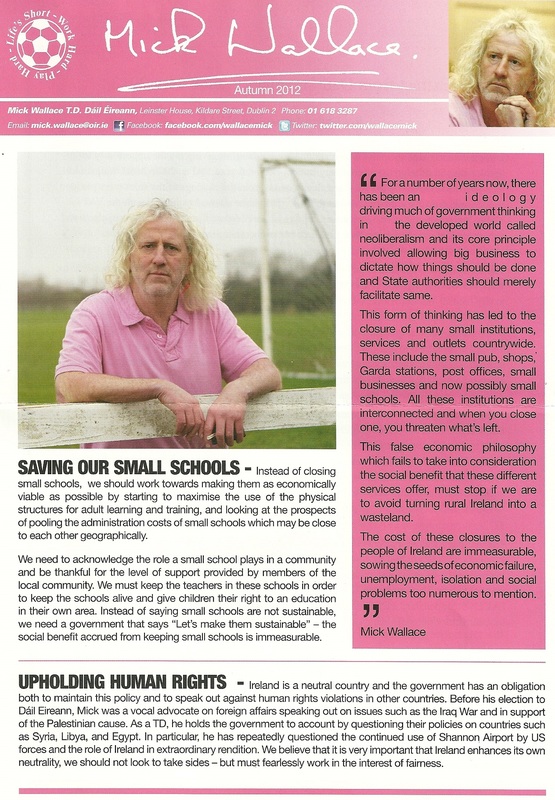 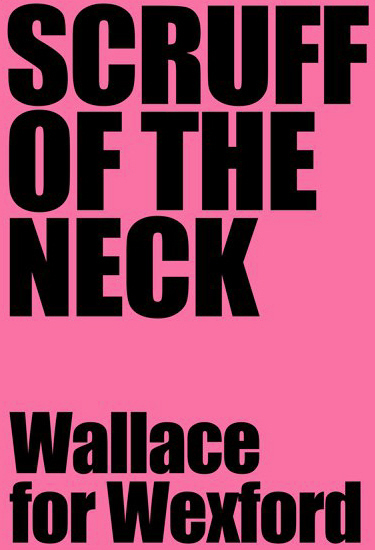 From the 2011 General Election campaign two posters for Independent candidate Mick Wallace running in Wexford.